Montmartre is replete with romance. 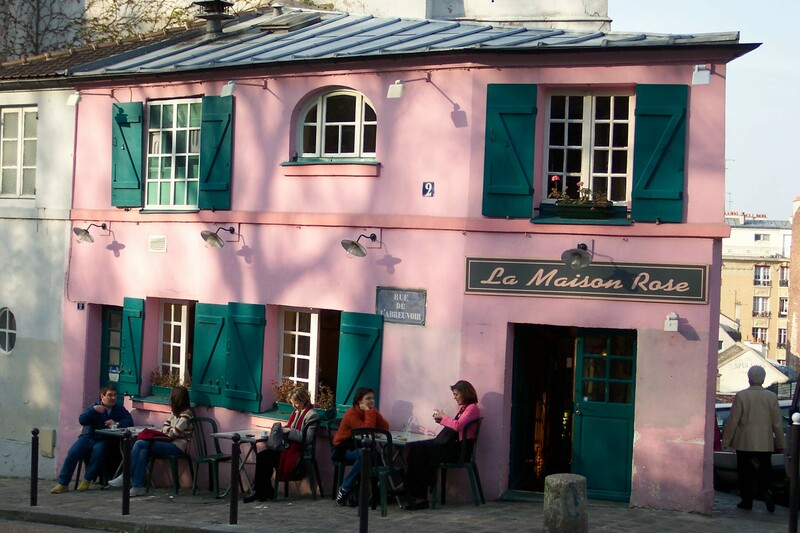 Have a glass of wine at the house of artist Maurice Utrillo. Happy Valentine’s Day, dear Readership. The Experienced Travelers wish you hearts, flowers and those hard, chalky candies that say “will you be mine”. 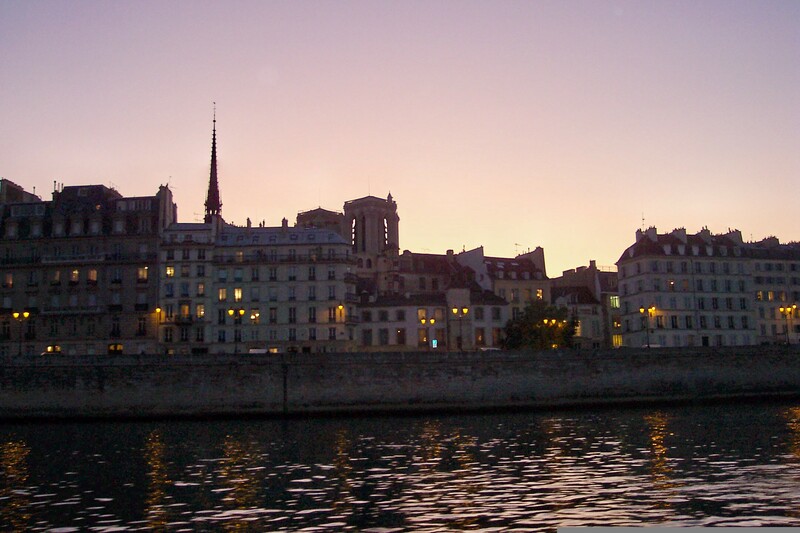 Paris embodies romance, from the grand monuments to a moonlight walk along the Seine. The spirit of romanticism is everywhere; the dramatic gesture, the poignant word, the duel to the death. The ETs have selected a few Romantic sights that will make every day seem like Valentine’s Day in Paris. 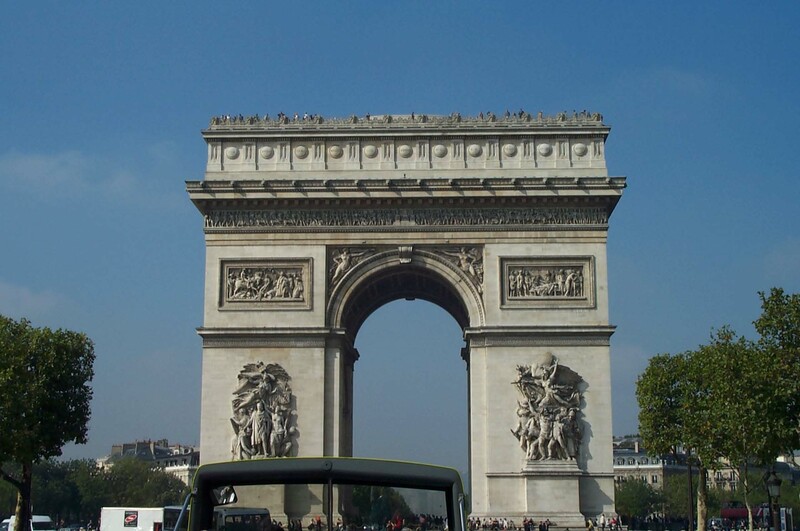 The ETs aren’t fans of the frantic Champs-Élysées, but the Arc de Triomphe that crowns the avenue screams Romanticism. We think this dramatic symbol of Napoleon’s conquests is best appreciated from a distance. Slow-moving ETs are no match for rogue Renaults that circle the étoile like it’s the last lap of the Indy 500. I caught Nurse taking architectural measurements and expect to see a facsimile Arc over the driveway soon. 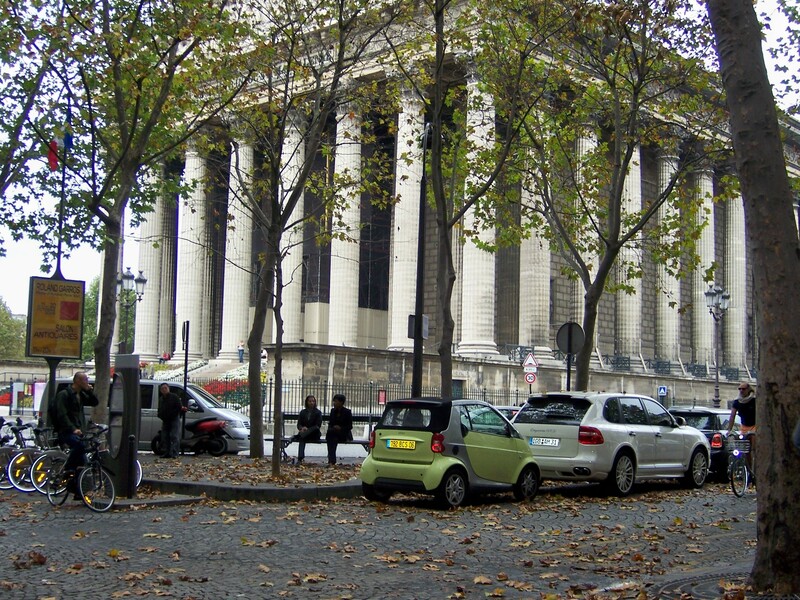 La Madeleine, another of Napoleon’s monuments, is the namesake of a favourite ET square, home to the food stores Fauchon and Hédiard. There is an affordable café next to Maille that makes a perfectly romantic post for observing shoppers. Who are these well-heeled habituées with sacks of Found Euros that frequent the rue Saint-Honoré? Our idea of romance is to be French trophy wives with hired help, who tutoyer headwaiters. 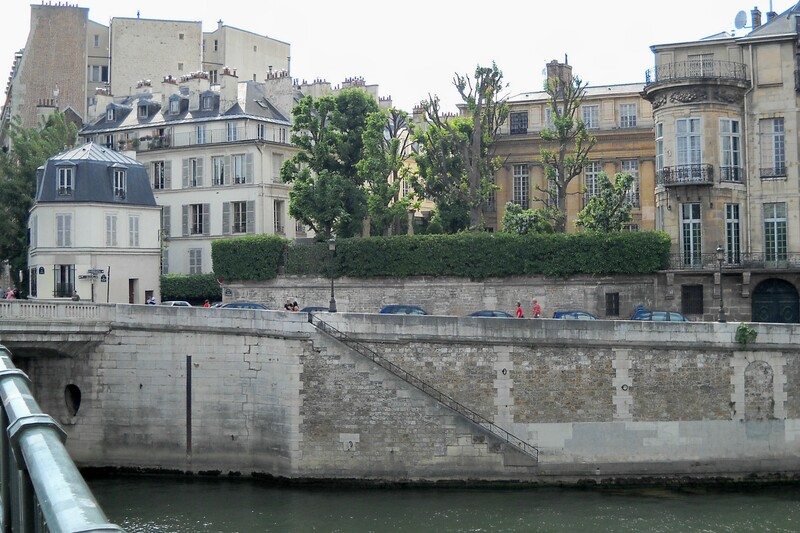 What could be more romantic than a walk around the Île St.-Louis? It’s best at night when tourists (like us!) go elsewhere, leaving silent cobblestone streets under lamplight shadows. It’s the perfect place for a stylishly late dinner in smashing new clothes. We read about the restaurant Au Gourmet de l’Ile which specializes in andouillette. It sounded good until I learned what’s *in* andouillette. Suffice it to say that Nurse, with her passion for parts, will have proper enthusiasm. 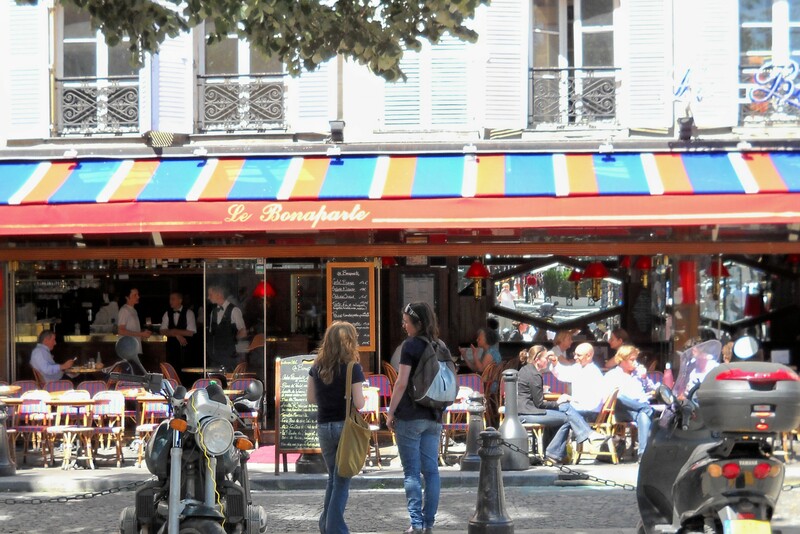 Daily life in Paris can be a romantic feast. A leisurely afternoon on a café terrace goes perfectly with flutes of champagne – the most romantic aperitif. The ETs like Le Bonaparte in the Place St.-Germain. It’s not famously existentialist like the Deux Magots or Café de Flore but we get the same inspiring view for less money! 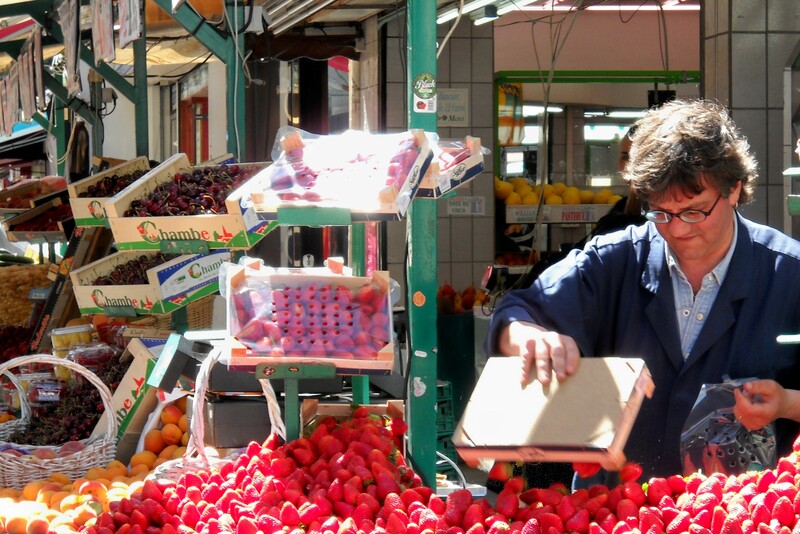 The vibrant colors of fresh food makes every market a Monet. The French tenets of high quality and artful presentation turn an onerous task into a romantic adventure. Nurse is loathe to push a cart through Wegmans, but in Paris, she relishes the opportunity to look, sniff, squeeze and choose. Although we can’t be in Paris this Valentine’s Day, the ETs will open a bottle of vin rouge and a ripe camembert and toast Paris – the most romantic of cities. In the spirit of the day, here’s 1:17 seconds of ET Virtual Cafe to bring the romance of Paris to your computer.